With the experience of over 300 SAP based ERP deployments, we can truly claim to be experienced at helping organisations apply business management and business automation applications. Through this experience we have built-up a broad portfolio of complementary technologies and applications that enable our customers to automate and controls every aspect of their business. Codescan is a browser based scanner application that can operate with both on-premise or cloud-based SAP Business One solutions to empower the warehouse. 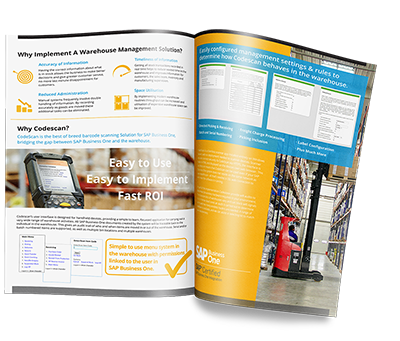 It enables you to automate the input of warehouse data through scanning bar codes directly into your ERP solution, streamlining processes and reducing data input errors. BPA for SAP Business One enables our customers to extend the Business Process Management capabilities within their ERP solution automating business alerts inside and outside of the company and including next generation workflow management, document automation, web content publishing and data services & integration (including multi-channel e-commerce and courier integration). This Business One Usability Package is a certified add-on for SAP Business One that provides our customers with a simple to use facility to tailor their application to specific end-user requirements enhancing the user experience, adoption and efficiency. M:Science enables our customers to fully embed the capability to send and receive SMS messages in any application across their business, including their SAP Business One application. This allows them to improve the customer, supplier and employee experience with pro-active messaging that keeps them up to date, in real time and straight to their pocket. Netalogue is the leading eCommerce solution for managing Business to Business (B2B) sales. B2B eCommerce demands many features not typically found in Business to Consumer (B2C) solutions, including customer specific pricing, promotions and customer personalisation. The Netalogue platform is used by many widely known market leading names in manufacturing and distribution. BEAS provides the perfect solution for discrete and process manufacturers. These solutions are built on the foundation of SAP Business One and provide an end-to-end solution for manufacturers fully certified by SAP. Magic xpi for SAP Business One is an enterprise class platform that enables our customers to automate business processes and integrate other in-house and supplier systems with SAP Business One. Reducing administration and human error across their business systems, managing complex approvals and distribution of information are amongst the solutions and benefits of this highly flexible & scalable product. 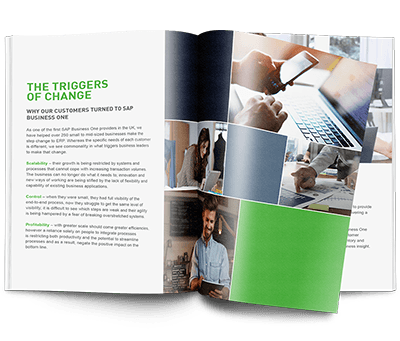 The value offered by SAP Business One in our eBook outlining the key capabilities and value of managing the now. 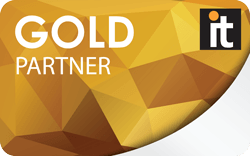 As an SAP Gold Partner, we not only have expertise in the core applications, but the technology and applications that complement this. We work with you to fully understand the needs of your business and industry and help you select the right platform and applications to unlock your full potential.. Whether you are looking to create bespoke business applications unique to you or further automate by using bar-code scanning or customer SMS messaging, we can help through our hand-picked eco-system partnerships, all of which seamlessly integrate into SAP.